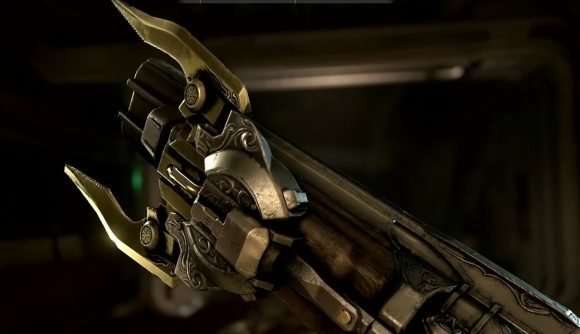 The meathook attaches to the Doomslayer’s trademark double-barrel shotgun, and it functions as a very specific kind of grappling hook. Instead of attaching to certain points of level geometry, this grappling hook can only attach to enemies. During a Q&A following the gameplay reveal, id creative director Hugo Martin explained that the team decided to exercise a certain amount of restraint with their grappling hook. Instead, Martin said, the meathook will open up certain avenues of traversal while still maintaining the feel and energy of Doom – the idea being that it’s another tool to close the distance between the Doomslayer and Hell’s friendly cast of demons. If by “intelligent game design,” Martin means swinging between cacodemons and pain elementals on our way across boiling pits of magma and skulls, it sounds like id might have it nailed. We’ve collected everything we know so far about Doom Eternal here. There’s no release date set for the game yet, but we expect it’ll be sometime next year.